I absolutely LOVE this place! 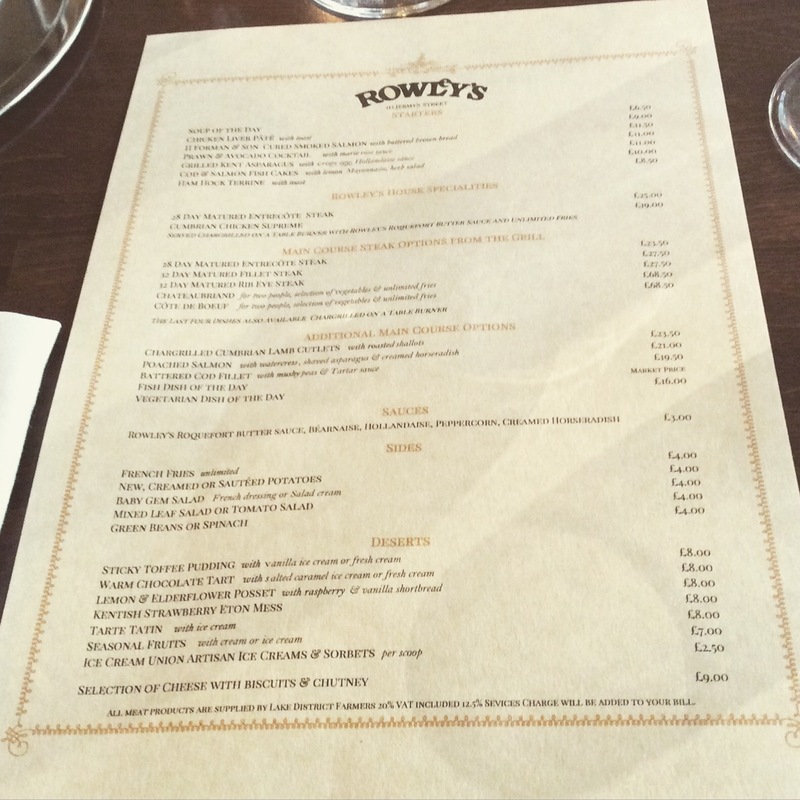 Rowleys is located just behind Piccadilly Circus on Jermyn Street, and I’ve found myself in here more times than I’d like to admit! I love this place not only for the food but for the building, once home to the famous Walls meat business (as in the sausages), it all feels very spectacular. Essentially a steak & grill restaurant, you are completely spoiled for choice. 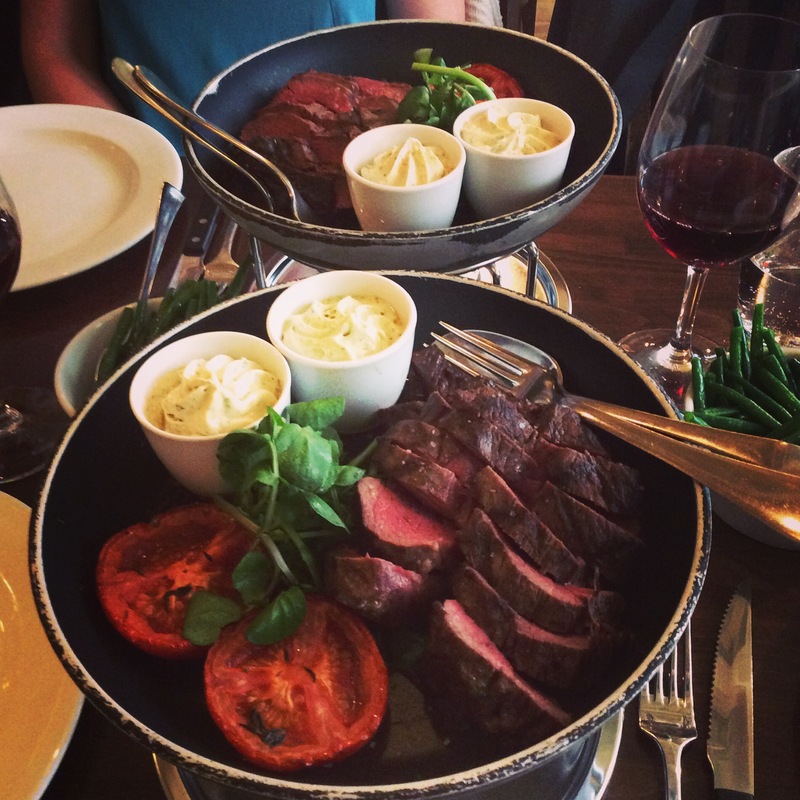 I, however, decided to dine on a Travelzoo deal, which meant me and the boy picked up a Chateaubriand with unlimited fries and a side of green beans for only £39, saving us a whopping 52%! 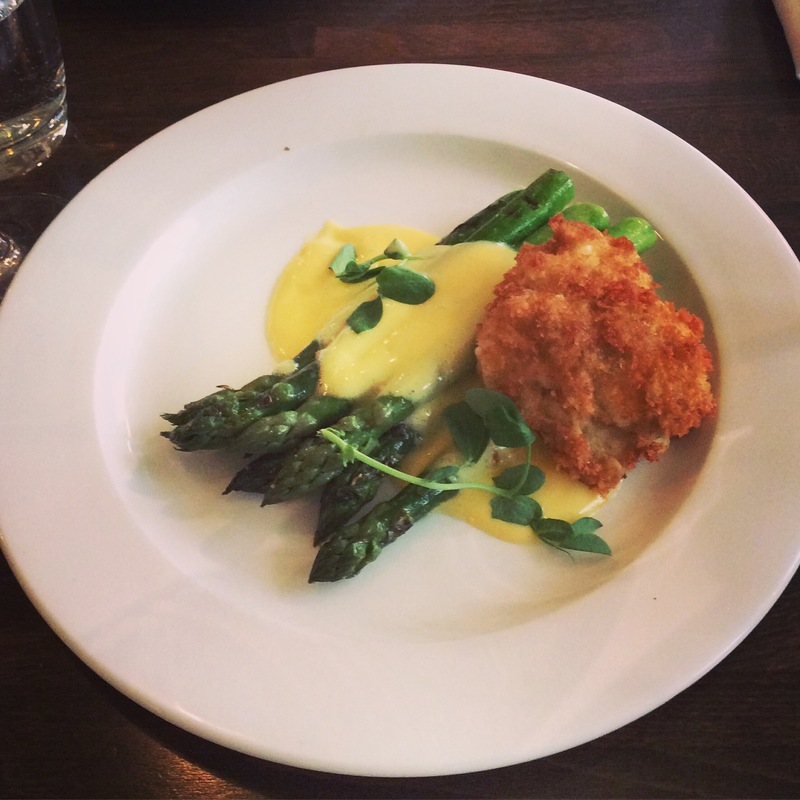 We ordered a lovely bottle of Pinot Noir, and a starter of asparagus and crispy egg with a Hollandaise sauce to share. It was so tasty and enough to get the taste buds going for the main course. The egg was perfectly runny inside, the asparagus fresh and cooked so it still had a beautiful crunch. 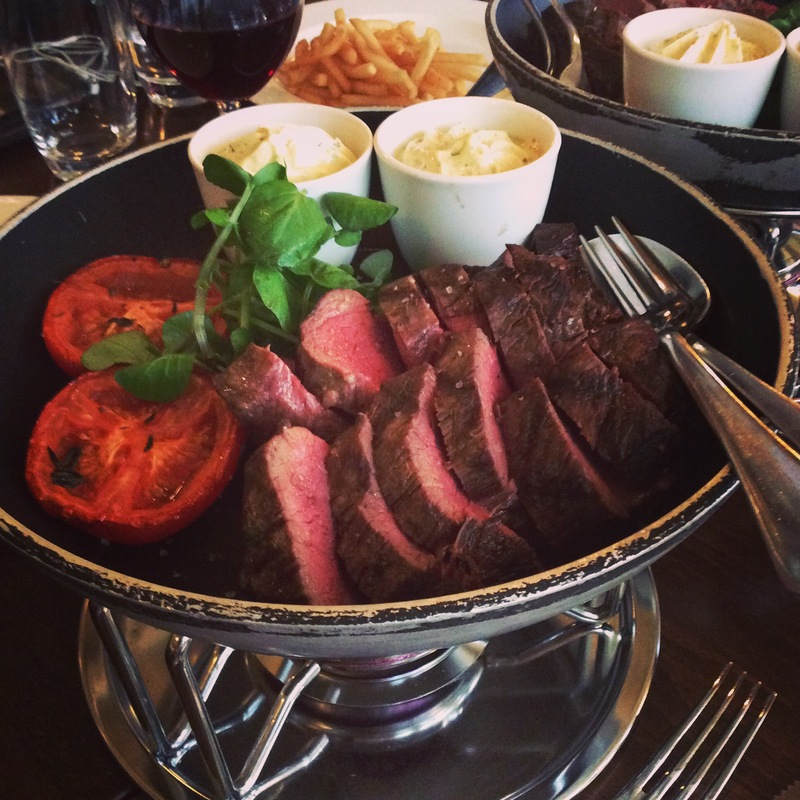 The Chateaubriand is served on a hot plate, we asked for it to be served rare, so we could cook it to our own liking. Steve likes his pretty much how you see it in the picture, and I like mine a little more done. I went for a piece on the end which was less pinky looking and left the remainder on the plate to cook. The meat is literally melt in the mouth deliciousness, but what wins it for me and keeps me coming back is the restaurant’s secret Herb, Roquefort and Butter sauce. Absolute knock out, makes you want to lick the plate fantastic! In addition to this already outstanding plate of food, you get unlimited fries!!! The waiting staff are brilliant and before your last chip is in your mouth they are back, with their silver bowl overflowing with piping hot, salty fries offering to top you up. After consuming a truck load of fries, there really was no room for dessert………..this time. 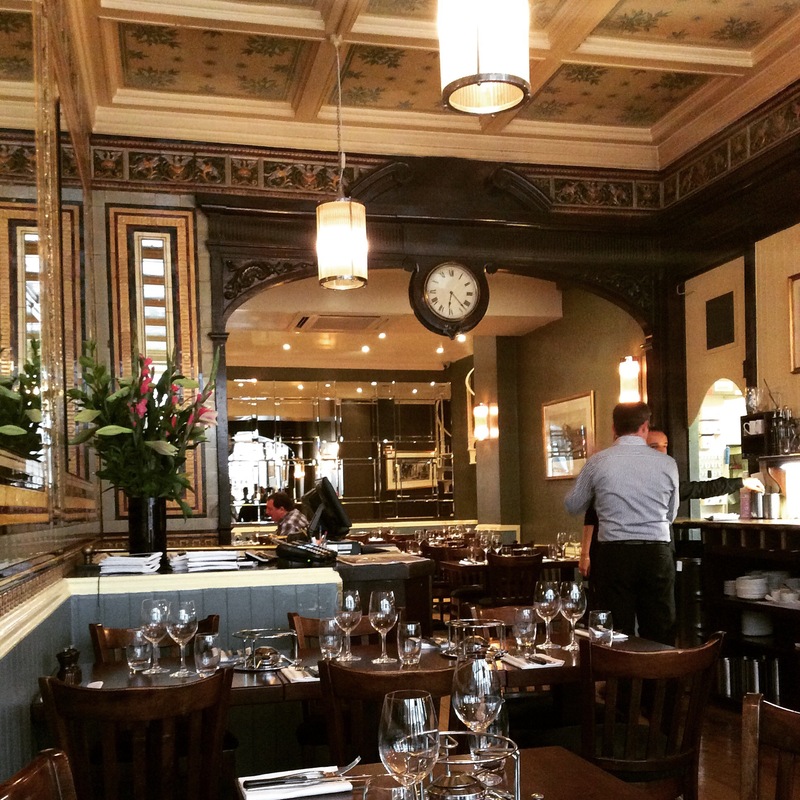 This place is simply delicious and this is by no means my last visit to my favourite steak joint London has to offer. Next Behind the scenes with The Rib Room team!